Become a Patron of the Princess today! [New Release] The Unicorn Hunter–TODAY! 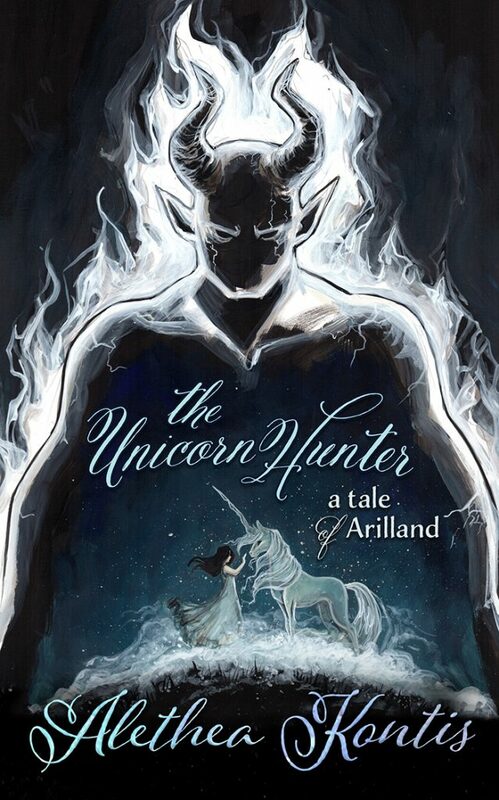 THE UNICORN HUNTER, book two in the Fairy Tales of Arilland chapbook series, is out today — with another gorgeous cover by Bianca Roman-Stumpff! Once upon a time, a princess was born with hair as black as ebony, lips as red as blood, and skin as white as snow. After the huntsman and before the dwarfs—while she was all alone in that great forest—the princess met a demon. And what bait could better snare his prey than the fairest of them all? This is the secret tale that the princess never shared with the world. 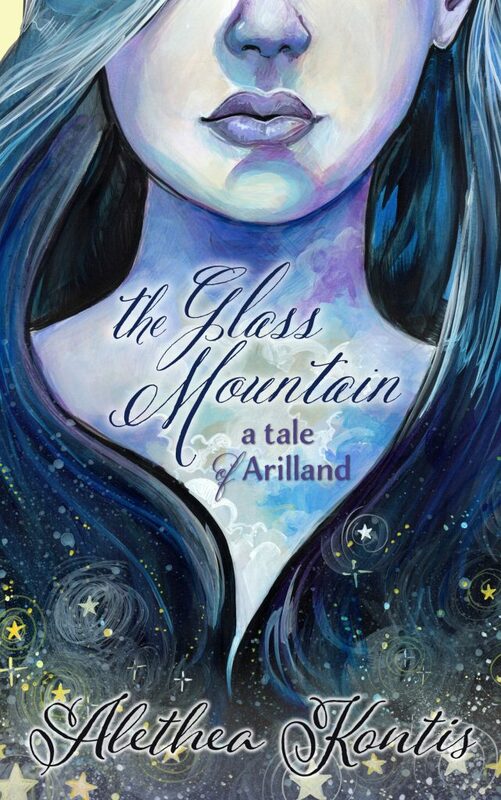 Don’t forget — the Swag Shop still has a few copies of THE GLASS MOUNTAIN left, signed by Alethea Kontis AND cover artist Bianca Roman-Stumpff! 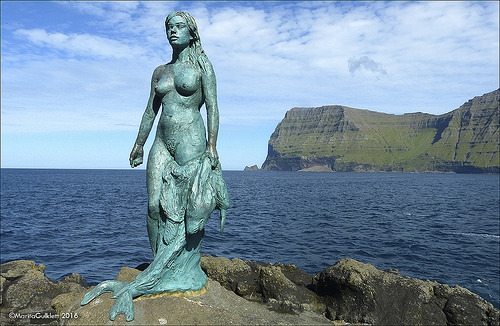 On the way to her wedding, brave and clever Princess Sabine falls into a Glass Mountain, where she is trapped with a crotchety, smelly man she calls “Old Rinkrank.” The two form a unique, unlikely friendship while working to escape. So I tied Bianca to a chair and forced her to listen to “The Unicorn Hunter” on audio…okay so maybe I’m exaggerating a bit, but not much. It *is* still one of my favorite stories. That night, Bianca went to work her shift at Cafe Tu Tu Tango and she started the painting that would become the cover for the second chapbook in the Fairy Tales of Arilland series! I present to you the AMAZINGLY GORGEOUS The Unicorn Hunter...now available for preorder! Once upon a time, a princess was born with hair as black as ebony, lips as red as blood, and skin as white as snow. After the huntsman and before the dwarfs—while she was all alone in that great forest—the princess met a demon. He was hunting unicorns. And what bait could better snare his prey than the fairest of them all? BOOK DEAL ALERT: Tales of Arilland 99 cents! 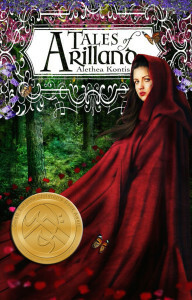 If you haven’t snapped up this fairy tale classic for your Kindle yet, do it now while it’s only 99 cents! Share with your friends! Woodcutter enthusiasts will rejoice at this opportunity to delve into the secret worlds beyond Kontis’s intricately woven fantasy novels. And if you are not a fan yet, you will be! 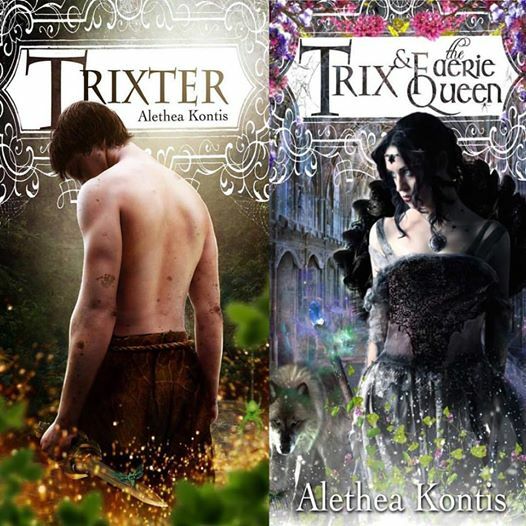 Alethea Kontis’s take on this classic Grimms’ fairy tale is a dark, yet optimistic novelette of magic, mystery, and love.